1. What was reported in 2011 which signals a big upcoming loss in the world's atheist population? 2. Is it the start of a trend which will accelerate? 3. How big could the losses be to the global atheist population? 4. How can the Question Evolution! 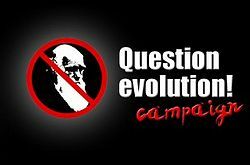 Campaign and 15 questions for evolutionists serve as a catalyst for this change to take place? 5. 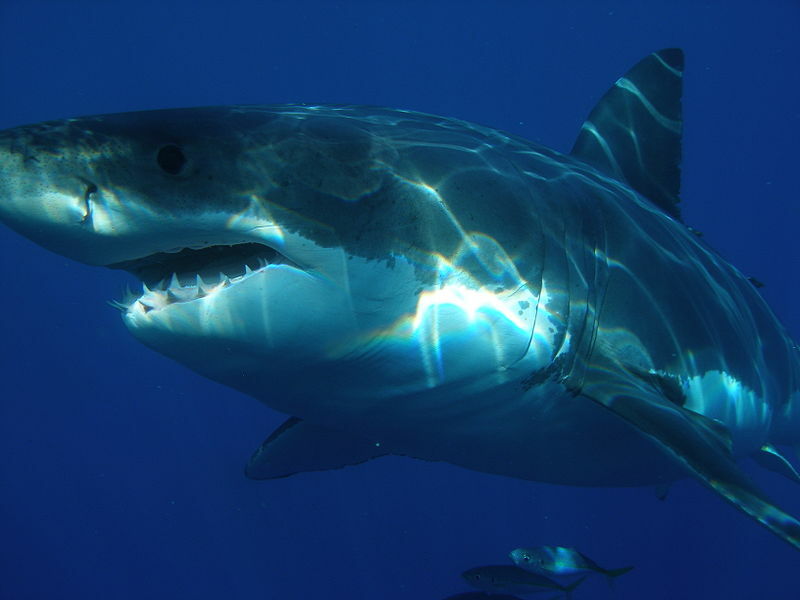 How will this affect evolutionary belief in the world? Christianity in China began decades ago in the countryside, but today, a dramatic shift is happening. Young professionals in big cities like Beijing and Shanghai are changing the face of Chinese Christianity, as faith moves from rural to more urban areas. On a recent Wednesday evening, a group of men and women in their late 20s met in an apartment not too far from the city center to discuss how to thrive in their rapidly changing nation. Those who attended are members of China's new privileged class -- highly educated, cosmopolitan, middle or even upper class of urban professionals. And they're all Christians. Although Christianity continues to grow in China's countryside, experts say it's in big cities like Beijing where the church is growing fastest. "Whereas the rural church was not able to have an impact on society as a whole, the 'Third Church' in the cities is able to do that because they are comprised of leaders who can have an impact," Peter explained. "[They are] businessmen, government officials, professors, leaders in engineering, every aspect of life." How big of a bite could this take out of the world atheist population? Could the fast growing Chinese church take a huge bite out of the global atheist population? If so, how big of a bite? 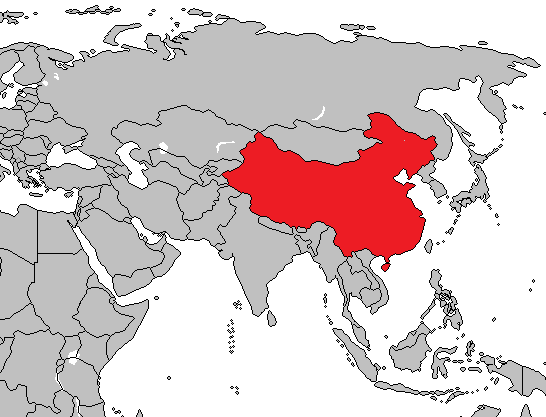 China has a population of about 1.3 billion people. China is an atheistic communist government which is autocratic in nature. In addition, it is a very large country. Therefore, it is difficult to get precise estimates of the size of the atheist population. In 1993, The Atlas of Religion, estimated that the percentage of atheists in China was between 10 and 14 percent. Given the growth of Christianity in China, let's say for the sake of discussion 10% of China's population claim to be atheists. 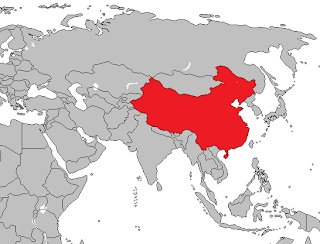 China has about 1 billion people. That would mean China has about 100,000,000 people who say they are atheists. The world population is approximately 7 billion people. If 2% of the world's population profess to be atheists, that would mean about 140,000,000 people claim to be atheists in the world. I am going to get more accurate figures on the estimated number of Chinese atheists, but as you can see, Christianity seeing tremendous growth in China could take a huge bite out of the atheist population. How will global atheism shrinking affect Western World atheism? How can the Question Evolution! Campaign help Christian evangelism in China? Our Question Evolution! group has a member who has connections to U.S Christian groups who work with Chinese students in America. Plus, he is familiar with Chinese culture and can even speak some Mandarin Chinese. There are Chinese American churches in America and Canada. Since many of the people in our group live in America and Canada it will not be very difficult to contact these churches. It would be great to translate material related to the 15 questions for evolutionists for Chinese Christians to use. Since many atheists are evolutionists, this could aid in the spread of Christianity in China by removing a needless roadblock to Christian evangelism. "In 1970 atheists (those avowing there is no God) numbered 166 million worldwide ..."
Author Nigel Tomes cites "IBMR," an institute for Christian missionary work. Considering their goal is to promote religious belief I'd trust their stats as much as I'd trust the fox to count the hens in the hen house. "China officially has an atheistic communist government"
Not exactly. While atheism has been the stance of the state since 1949 their official position these days seems to be more secular, which is not specifically an 'atheistic' enforcement but rather allows for a certain freedom of religion. Either way the majority of Chinese people are openly Buddhist [http://www.justchina.org/china/china-beliefs.asp, http://www.foreignercn.com/index.php?option=com_content&view=article&id=2929:buddhism-in-china&catid=1:history-and-culture&Itemid=114]. Buddhism is a complex religion that, while largely eschewing devotion to a "creator," holds a strong moral code and adherence to spiritual practice. If one argues that no creator / God makes Buddhism an "atheistic" religion, then you could say between 60 - 80 per cent of Chinese people are atheist or at most 1 billion of the world's population. "If 2% of the world's population profess to be atheists ..."
'Profess' is the key word here. Atheism, while popular on American college campuses, is not particularly accepted in other parts of the country / world. It is often seen as misguided at best, at worst as an immoral defiance of whatever God a community / nation happens to believe in, and since as a Christian I assume you share / support this condemnation it is curious how you would expect (or want) to get an honest percentage from the global population. Interesting that, while you provide somewhat ambiguous stats to prove the decline of atheism within the text you offer none to actually prove the growth of Christianity, a single anecdote ("a group of men and women in their late 20s met in an apartment" - was this a group of 4? 40? 4 thousand?) aside. Aren't these stats more significant, or is it a given to you that someone leaving the belief of atheism would automatically latch onto Christianity, in China no less? You could safely argue all of this, if you felt like it of course - just keep in mind how such an often ambiguous philosophical position can become statistically skewed. "Author Nigel Tomes cites "IBMR," an institute for Christian missionary work. Considering their goal is to promote religious belief I'd trust their stats as much as I'd trust the fox to count the hens in the hen house." First, you are being illogical and using the genetic fallacy. Second, one of the reason why global atheism is losing so many adherents is that atheists rarely offer any evidence of their own and merely give weak and illogical complaints (see: Global decline of atheism). You certainly did not offer your own statistics and justify why those statistics are accurate. By the way, what proof and evidence do you have that atheism is true? Third, you are using the fallacy of exclusion. For example, did I not also cite The Economist on how fast Christianity is growing in China? Isn't China's population a big part of the world population and especially a big percentage of the world's atheist population? Did I not cite relevant scholarship from Professor Eric Kaufman as far as the growth of religious populations relative to secular populations? Also, please tell me why these statements of Mr. Tomes are not relevant: The World Christian/Religions Database (WCD) has been collecting data for decades on religious & non-religious affiliation for all the world’s countries. They pool all the relevant survey data from all available sources; hence their data is more reliable... (see: http://questionevolution.blogspot.com/2012/08/is-global-atheism-really-on-rise-or-is.html). I really wasn't impressed with your evidence related to your claims about Buddhism. Perhaps Buddhism is the largest religion in China, but I am not going to base any decisions about the state of Buddhism in China in terms of adherents based on the evidence you brought forth. "Did I not also cite The Economist on how fast Christianity is growing in China?" If you mean the videos I am in a public space and am unable to hear audio. If these other sources cite the same or similar statistics, which is all I'm really concerned about in a "is [blank] getting bigger or smaller" argument, than that is another story. Do they? "One of the reason [sic] why global atheism is losing so many adherents is that atheists rarely offer any evidence of their own and merely give weak and illogical complaints." So why did atheism become (relatively) popular in the first place? What did the original atheist philosophers, who brought the idea to a point where any "shrinkage" is noticeable and worth talking about, have in their heads and coming off their tongues that today's supporters lack? "You certainly did not offer your own statistics and justify why those statistics are accurate." In fact I offered several of my own statistics. My conclusions were that 1) the majority of Chinese people are Buddhist and 2) That Buddhism can be considered, if you'd like, an atheistic religion. To support your argument therefore please offer stats not only on growing Christianity but shrinking Buddhism as well. "By the way, what proof and evidence do you have that atheism is true?" This is an argument about global volume of religious adherents, not the validity of any one belief. To follow your lead that would be using a logical fallacy I like to call "suddenly going off-topic." "Lastly, if you do not considerably step up your game, do not expect your subsequent posts to be published. Stop giving illogical objections." This is a very myopic way of looking at things. Since I assume you will disagree with me on every point you may claim my objections are "illogical" simply because they are objections. You believe you are correct without fail therefore any counter-argument is "illogical," therefore the game is rigged. In theory you should shut down the comment section entirely. I would also suggest you don't keep a list of "logical fallacies" so close to your heart as they will eradicate the dynamism of human opinion. In other words, following the recipe exactly doesn't always make for great food. Your initial comment and your most recent comment about my Economist source and my other points tells me you are not doing your due diligence and you are intellectually dishonest. Please do not comment at this blog again until you wish to have a bona fide dialogue. I have better things to do than respond to lazy and childish atheist malcontents. Andrew, you must truly be a sociopath. You must always be right and can never be wrong no matter how out of this world your arguments and claims get. You never concede to anyone else's point of view. Somehow everyone else is irrational and brain-dead without any good arguments. Ever heard of projection? It is impossible to have a two way conversation with someone who must absolutely always be right and cannot (afford to) be anything else. I know you won't post this on your page but at least youve read it. I can't tell if you're a sociopath or just the average far-right extremist. 1. We have no contributors to this blog named Andrew. 3. I understand that many atheists are fond of pseudoscience and poorly reasoned speculation, but if you could refrain from further speculation as far as our blog contributors, we would appreciate it. The reason why global atheism is decreasing is because highly religious third world nations have large birth rates and since proselytizing other faiths to these nations are very popular among faith based religions, they are extremely vulnerable to believing in nonsensical fables because these nations lack basic access to education and knowledge concerning religion. Religion disseminates in these regions because the adherents of these religions breed like rats and transmit their beliefs to their offspring. “The reality is that the New Atheist campaign, by discouraging religion, won't create a new group of intelligent, skeptical, enlightened beings. Far from it: It might actually encourage new levels of mass superstition. And that's not a conclusion to take on faith -- it's what the empirical data tell us. Some day modern religion will fade way. Just like old Paganism.